In true St Helenian style, we extend to you a very warm welcome to our Internet site! We are St Helena's only Post Office, situated in the main street of the capital, Jamestown, some 200 yards from the sea-front. 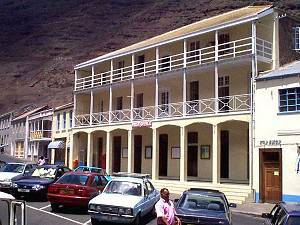 The Post Office is a Department of the St Helena Government, under the management of the Postmistress, who is supported by a staff of 10 fulltime members and four part-time employees. Our philatelic service is the largest revenue earning section of the Post Office. We also provide support for the Ascension Island Post Office. A Stamp Advisory Committee meets regularly to ensure that issues of stamps incorporate designs of an historical, geographical, economical, constitutional or thematic nature which is of interest to the stamp collector.